If you would like to work in a positive environment and use your talents and experience to make a difference in the lives of seniors, we'd like to hear from you! 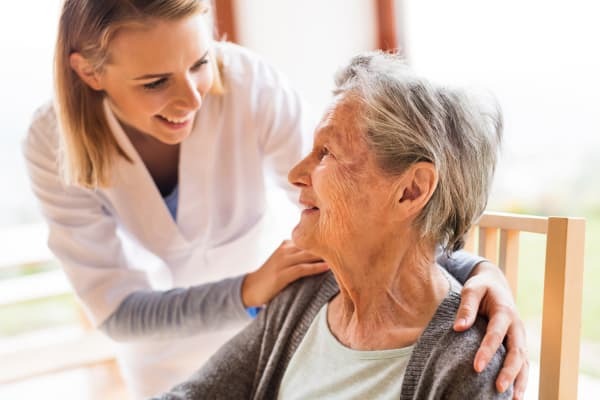 At Arbour Square of Harleysville you will be part of a dynamic and talented team dedicated to the highest standards of excellence and quality of care. You’ll also be supported by an industry leading organization that is committed to quality services and treating people with dignity and respect. The Arbour Square of Harleysville culture and philosophy are based on the simple concept of allowing respect and dignity to guide our interactions with residents, families, vendors and each other. This unleashes the energy of our people to enrich the lives of our residents and create and sustain a positive work environment. We are then able to create an environment where our staff can unleash their potential to attain their highest levels of job performance along with their greatest sense of job satisfaction. "Soon after my father’s passing, it became evident that Mom’s situation had to change. For more than fifty years, routine became habit which became comfort - all three now turned upside down. Change is good, but change is hard. Think about losing a spouse, changing traditions or moving to a new city – Mom did all of this in very short order. After a time, it was obvious our mother needed a new adventure. Something to sink her teeth into, something to motivate and stimulate her spirit. Something more to engage the sense of worth and community spirit that has defined her unique mind-set her entire life... and along came Arbour Square of Harleysville. From our first orientation tour to today, the fit with Arbour Square just felt right. New friends, new projects, new challenges, new surroundings, all brought the sense of belonging that only her peers could provide. Our entire family has seen this transitional time as a blessing. Arbour Square of Harleysville plays a continuing role in making that fact a reality."